Photo from the Independent newspaper website. Copyright not mine. 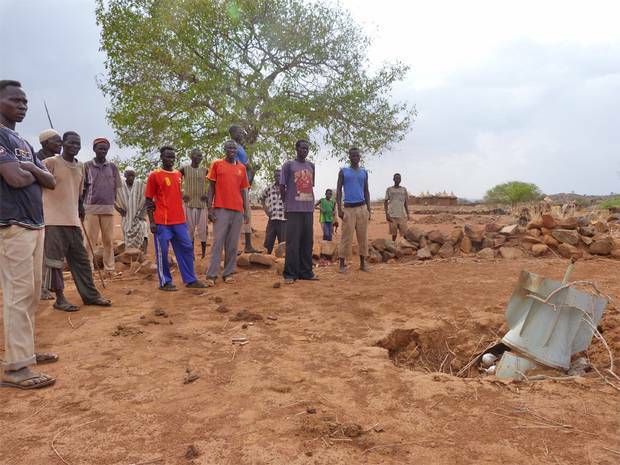 Sudanese villagers are requesting assistance to dispose of unexploded Russian-made cluster munitions, according to a recent article in the Independent newspaper. The cluster bombs, which are the first recorded use of the munitions by Khartoum in the Southern Kordofan conflict, were found by the residents of the Nuba Mountain village of Angolo. Neither Sudan nor South Sudan have signed the 2008 Convention on Cluster Munitions banning the use, transfer and stockpiling of cluster munitions. 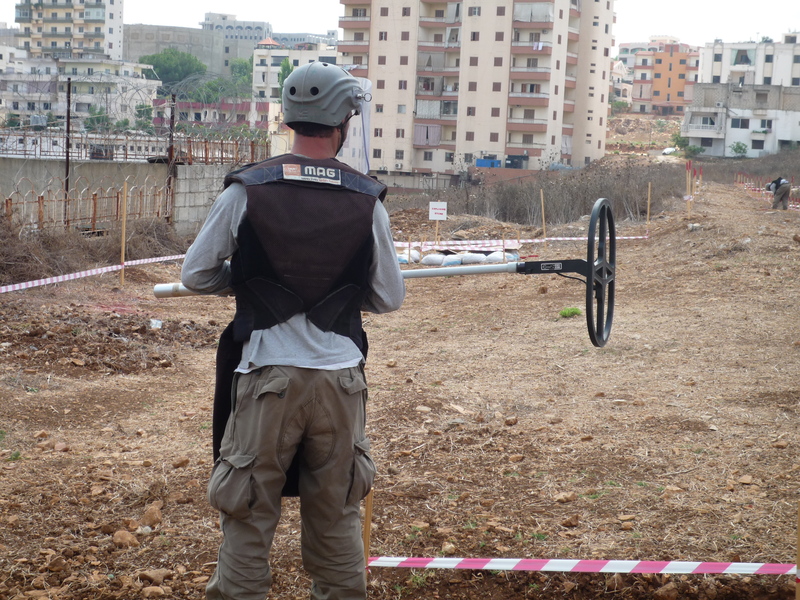 Nevertheless, as the article remarks, the use of such indiscriminate weapons in civilian areas is largely viewed as a crime against international law. Khartoum’s use of such a catastrophically indiscriminate and ineffective weapon in a civilian area is very worrying and it is to be hoped that local or international assistance is provided as soon as possible to remove the weapons. “The Angolo bomb is a Soviet-made RBK-500 cluster weapon, filled with dozens of spherical A0-2.5RTM submunitions, designed to burst in half on impact and scatter shards of shrapnel and ball-bearings over a wide area. Each hemisphere of the bomblet is designed to achieve a “kill radius” of 20 metres, yet there were no reported casualties in the attack or after, and none of the submunitions appear to have exploded. Perhaps the relative obsolescence of the bomb led to its malfunction. The serial numbers visible on the undeployed submunitions indicate that they were manufactured in Russia’s Degtiarev plant in 1984.